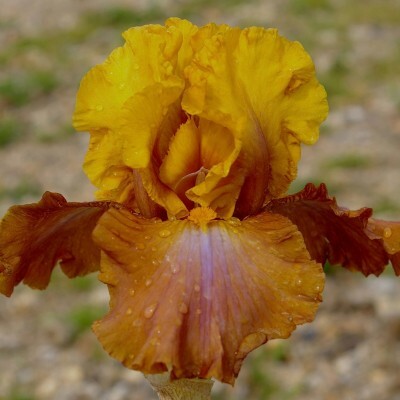 Bright colours for this winner of the Florence iris competition in 2002. 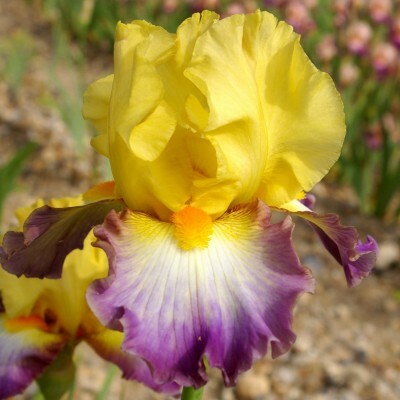 Golden-yellow standards with light plum at their base, caramel falls infused with pale violet below the old gold beards. 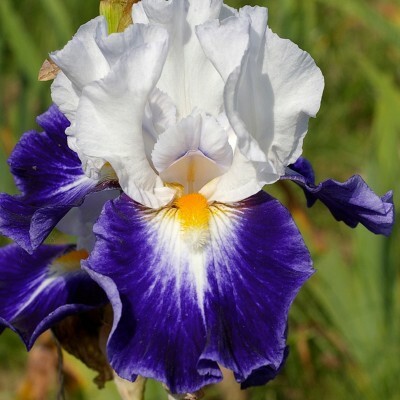 Moderate sized flowers, well shaped and 9 to 10 buds per stalk. Subtle perfume. 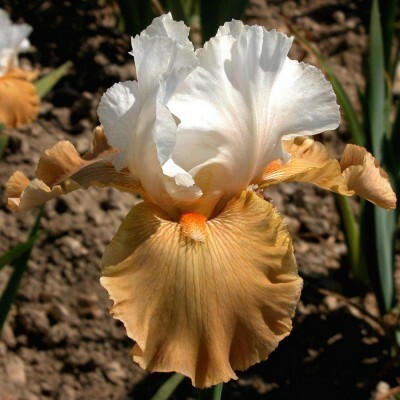 This son of our famous iris "Noctambule" has inherited its height and its elegance. Slightly open, pure white standards and nearly horizontal, rich mid to navy blue falls. 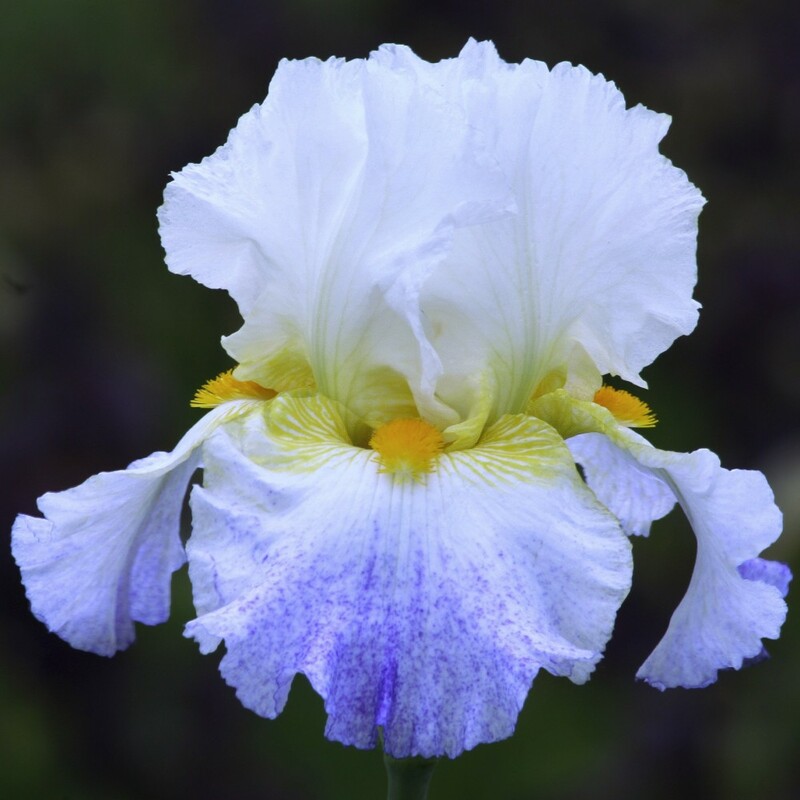 Egg-yolk yellow beards on a white background bring luminosity to the heart of the flower. Sharp, pure colour contrast.